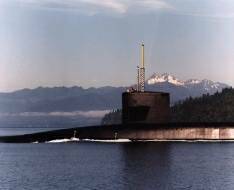 USS ALASKA is the seventh TRIDENT Class Nuclear Powered Fleet Ballistic Missile Submarine and the fourth United States Navy ship to bear the name of the state. This section contains the names of sailors who served aboard USS ALASKA. It is no official listing but contains the names of sailors who submitted their information. 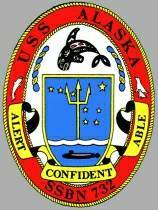 Click here to see which USS ALASKA memorabilia are currently for sale on ebay. 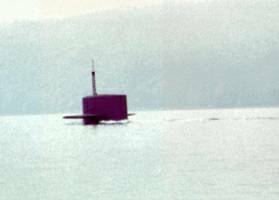 The keel for USS ALASKA (SSBN 732) was laid on 9 March 1983. On 12 January 1985, Mrs. Catherine Ann Stevens the wife of Senator Ted Stevens from Alaska, christened the ship during ceremonies held in Groton, Connecticut. On 25 January 1986, the ship was commissioned at the Naval Underwater Systems Center, New London, Connecticut. Vice Admiral B.M. Kauderer,, USN, Commander, Submarine Force, U.S. Atlantic Fleet, served as the Commissioning Officer while Senator Ted Stevens of Alaska was the principal speaker. 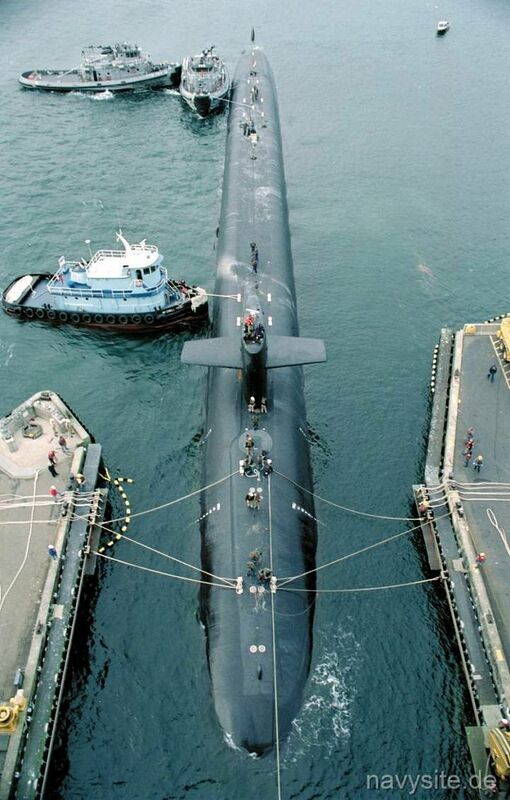 In September 1986, USS ALASKA began her voyage to Bangor, Washington. Following a transit of the Panama Canal, the ship embarked 96 fathers, sons and brothers and eleven Alaskans, including Governor Bill Sheffield, before proceeding on to Bangor. 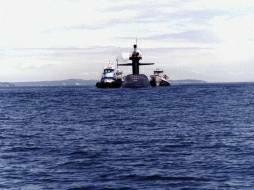 USS ALASKA arrived at its new homeport in October 1986 and the Blue Crew conducted the first Strategic Deterrent Patrol in early 1987. In July 1987, both crews visited their honorary homeports; Seward for the Blue Crew; Fairbanks and Fairbanks North Star Borough for the Gold Crew. Since Joining Submarine Squadron 17, USS ALASKA has conducted over 35 deterrent patrols. A key element of our nation's strategic deterrent forces, she continues the proud tradition established by her predecessors. Spectacular. Magnificent. Breathtaking. Eavesdrop on a conversation about the nation's 49th state and the chances are very good that these adjectives will be heard. The state's name - Alaska -comes from the Aleut for "Great Land." The name fits the huge land mass known as "The Last Frontier" and the "Land of the Midnight Sun." Alaska's total area - 586,400 square miles - is one- fifth the size of the rest of the United States put together and twice the size of Texas. Its coastline is longer than that of all the lower 48 states - 33,000 miles. It has 10 rivers longer than 300 miles, 3,000,000 lakes, North America's highest mountain (Mount McKinley at 20,320 feet) and more than half of the world's glaciers. Purchased from Russia in 1867, Alaska became a judicial land district in 1884 and a territory in 1912. In 1955, Alaskans elected delegates to a constitutional convention and a year later adopted the Alaska Constitution. In 1958, the statehood measure was signed by President Eisenhower. On January 3, 1959, Alaska became the 49th state. With its great size and widely scattered population centers, Alaska has developed the most sophisticated air transportation system in the United States. Alaska has more airports than any other state and private flying is more prevalent than anywhere else. The state also enjoys a well-developed system of water and rail transportation. Rich in history, rich in progress and populated by people who are warm, outgoing and display a real pioneer spirit, Alaska is truly the "Great Land."